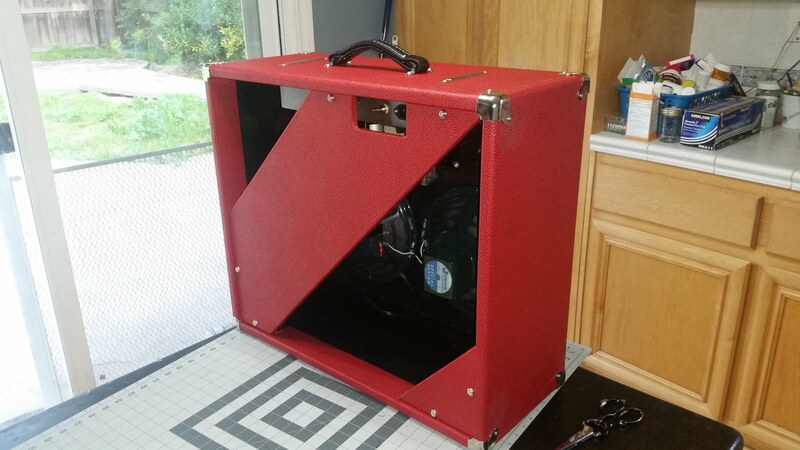 Rather than post all the gory details here and repost the same info on four different forums, I created a blog entry complete with a demo song featuring the amp and background info on why I built it in the first place. I'm not really a regular here and I hang-out mostly on AX84. However, since I got a bit of information for this build from this board I thought I should share this with you all. There is very limited information out there on harp amp building. Some of the info floating around the web is just downright not altogether correct so it's hard to sift through it all. MEF seems to be the best repository of original knowledge and pointers to other good sources available on the web, so here is my contribution. So, thanks everyone for looking and/or contributing to this forum! Is the first tube parallell connected? yes the first tube is a 12AY7 wired in parallel. Yes one channel with tone & volume. Tis all you need for a harp amp! After using this live many times since it was built, this amp sounds great. Of course, the player has a lot to do with it but it was just what the doctor ordered. It sounds really fantastic and he can now keep up with the band without feeling like he's blowing his lungs out of his chest. How do your super clean preamp work for harp? Most of the overdrive is in the power amp due to its cathode bias and no negative feedback loop. This provides a nice early breakup in the power section to help minimize feedback. The key to the preamp is the 12AY7 with a fairly low voltage on the plates provides a nice early breakup. Also helps with reducing feedback since it can be achieved at lower volumes. My experience is lower volumes and harp players is mutually exclusive. Yes, nice build although I'd cringe walking on stage and seeing an amp that size perched behind a harp player. first build completed -thanks to all!